Targum article by John F. Stenning from the Encyclopedia Britannica, 11th ed. (1911). 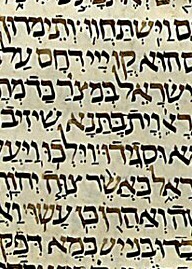 Aramaic Versions article by Eberhard Nestle from the New Schaff-Herzog Encyclopedia of Religious Knowledge (1912). Targum article by Schühlein from the Catholic Encyclopedia (1912). The Jewish Targums by Bruce Metzger (1993). Bibliography of English Translations of the Aramaic Targums by Michael Marlowe (2004).